The perfect fun game for hot summer days. 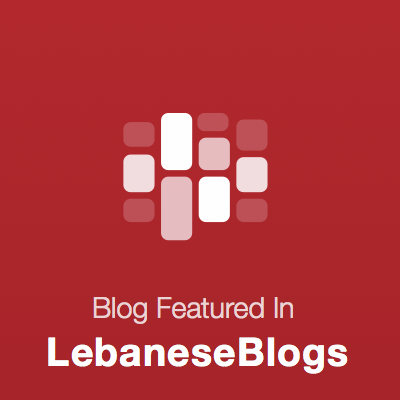 We are taking advantage of still being in lebanon to enjoy the outdoor plays. 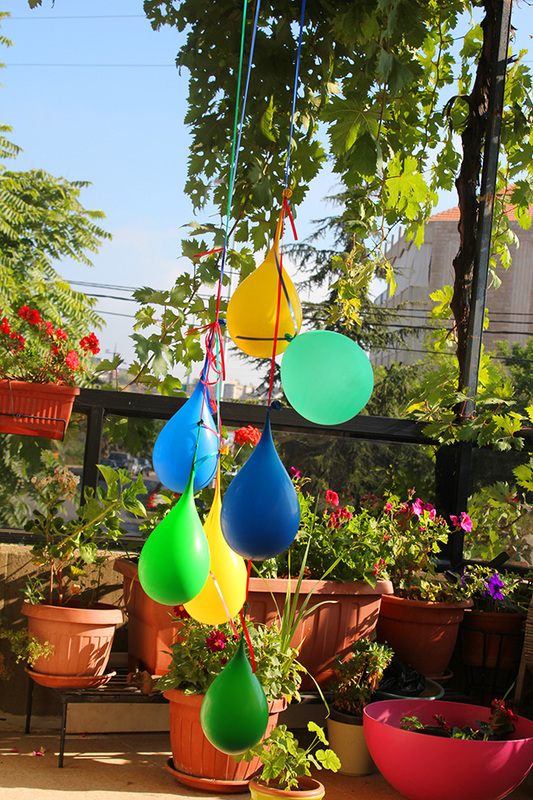 Fill up some balloons and tie them to a rope. Give your child a stick to whack them and let the fun begin! 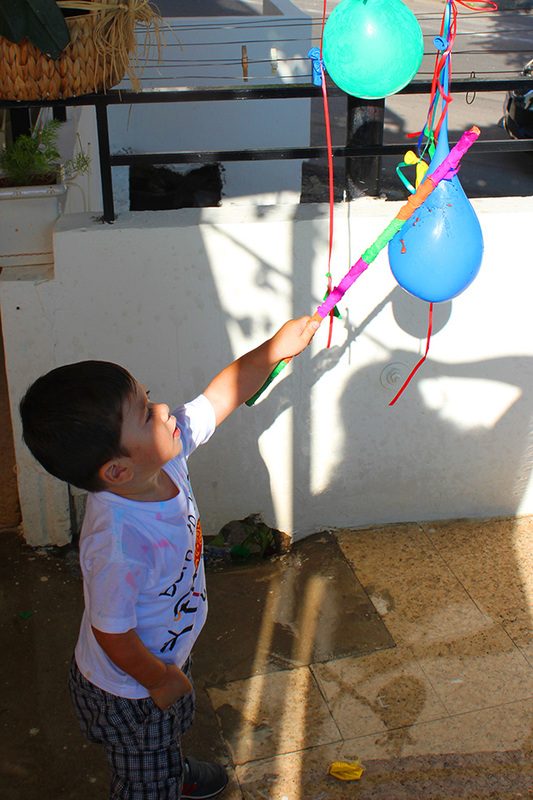 Splashing fun is always a success, you can increase the fun by adding colors to the water or hiding a small object in the balloons, kids love surprises and having small things in bigger. 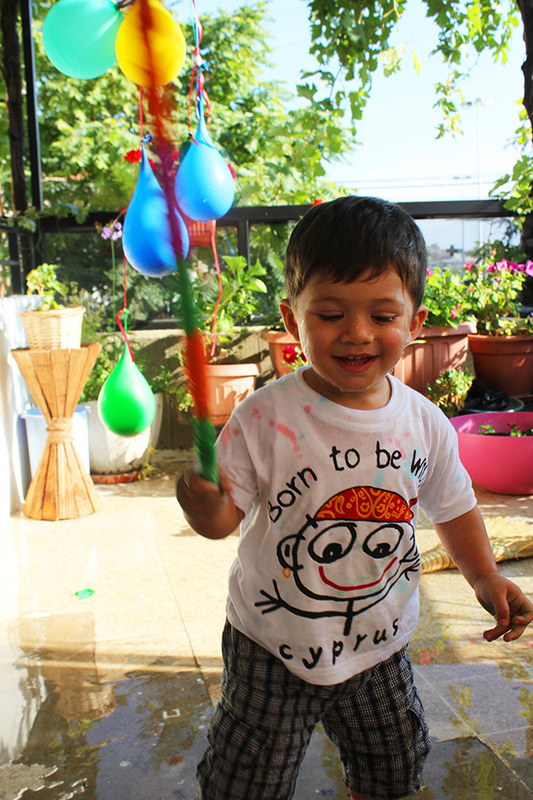 We used helium strength balloons, so the popping itself wasn’t easy for Nady (19 months) but he really enjoyed the gush of water, he was really soaked. 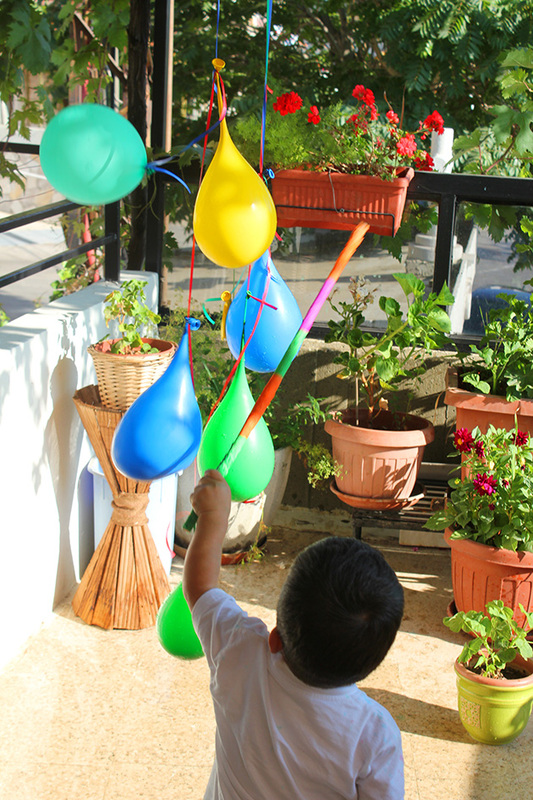 I was so proud of him trying to pop the balloons, whacking hard at them which develops problem solving and fine motor skills. This game will be spectacular for a birthday party! I highly rate this game for a large group of kids of all ages. 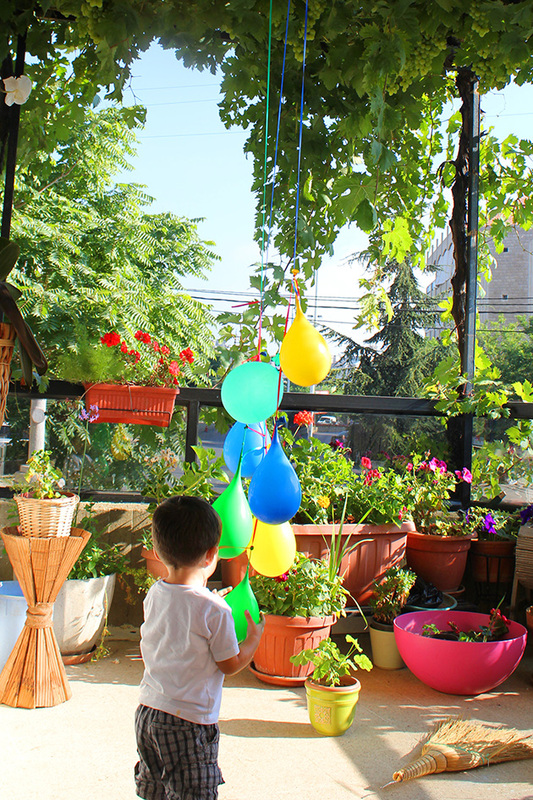 This entry was posted in DIY, way to play and tagged blog, jaymmy, marmite et ponpon, pinata, summer activity, water activity, water balloons, water balloons pinata, way to play. Bookmark the permalink. Thank u akinoreweht. Have a beautiful summer too! I love the idea. Will keep it in mind for when my boy is old enough to hold a stick and not beat me with it. Thanks for sharing.